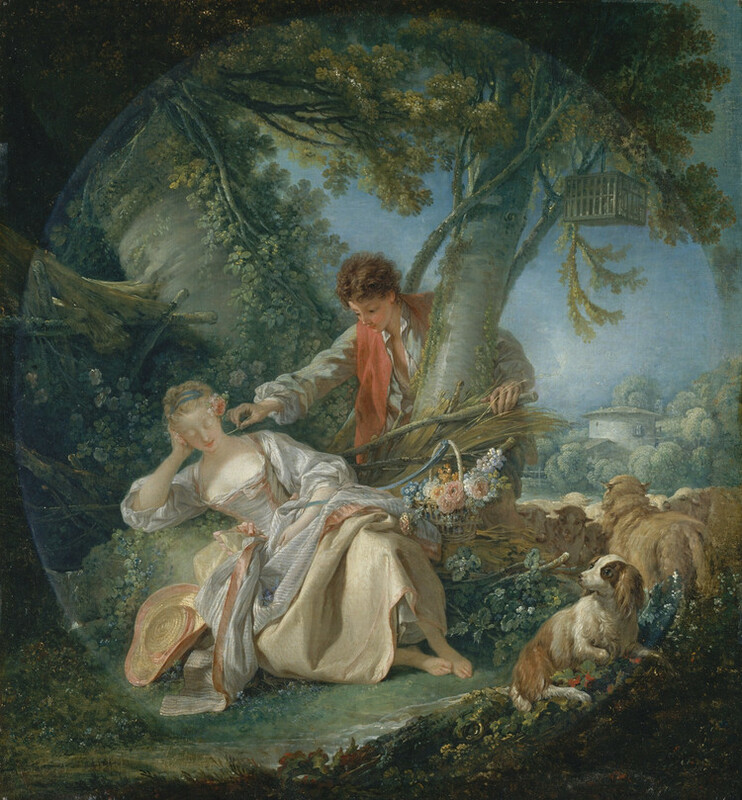 Melody & Mist: The Interrupted Sleep, By ~ Francois Boucher ~ 1703 - 1770. The Interrupted Sleep, By ~ Francois Boucher ~ 1703 - 1770. Boucher was an artist of incomparable virtuosity and industry with a preference for mythological and pastoral subjects. Here he shows a beautifully dressed shepherd and shepherdess. The latter sleeps, while the former tickles her pink lips with a bit of straw. The simplicity of the subject belies the complexity of the composition, which is organized around a series of intersecting diagonals. This canvas, much admired when it was exhibited at the Salon of 1753, was described as one of a pair of overdoors from Bellevue. The château belonged to Madame de Pompadour, mistress of Louis XV. Labels: Francois Boucher ~ 1703 - 1770 ~ The Interrupted Sleep.